French seams. Have you heard of that but didn't know what they are? You will often find french seams in finer lingerie. It's a way to finish of a seam to a garment or item that isn't lined so that you don't have exposed raw edges. It's just too simple really. French seams work best on light to medium weight fabrics. Thick fabrics are just too bulky for this treatment. 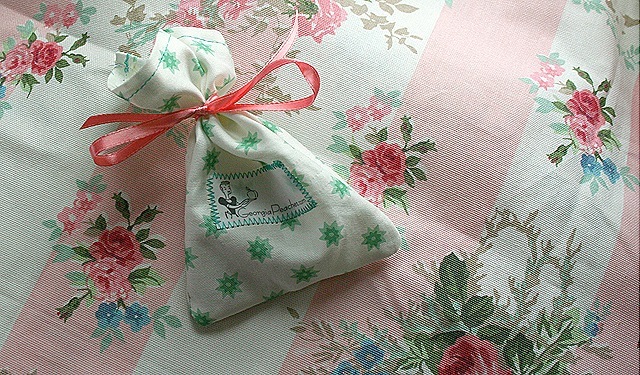 I'm making a little gift bag and french seams are a nice way to finish off this simple little item. I've already hemmed the top of my piece. To start, put your pieces WRONG SIDES together. Stitch a very narrow seam, about 1/8 inch. Turn right sides together and stitch again, about 1/4 inch seam allowance, encasing the edges. Now you can turn your piece, right sides out and you are finished. 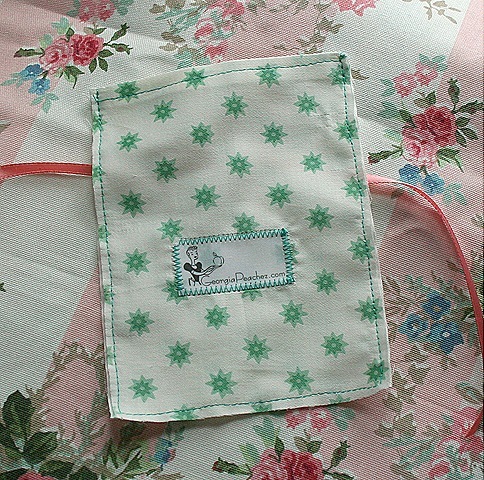 This is a simple application, but it's a very nice treatment for special fabrics. I love the little details. 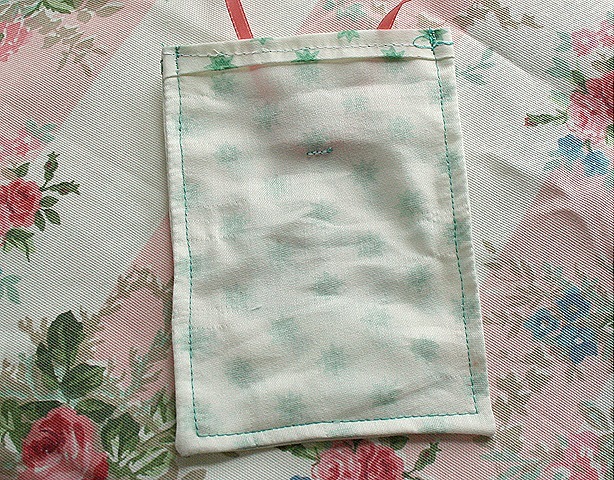 Cute little pouch! 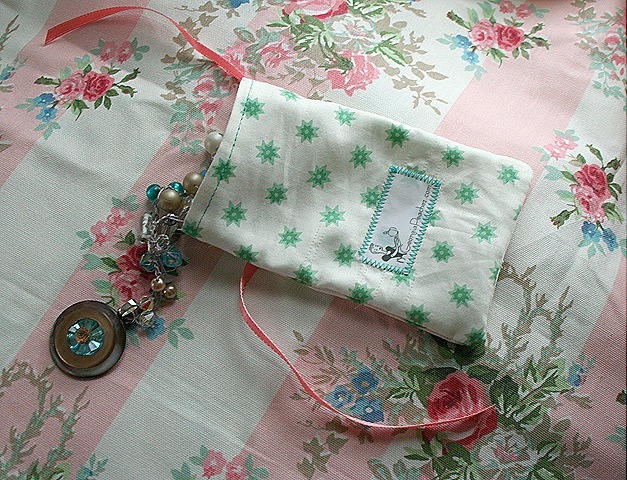 Love your idea to share sewing tips. You have a lot of great ideas. It’s the little things that make the difference!! I French Seam all of the clothes I make to sell on my Etsy & FB pages, it’s what was used to finish seams before sergers were invented…I still prefer it to a serger. Serged edges are just ugly to me. Anyway, if you trim your edge after sewing the 1/8″ seam you’re less likely to have edges sticking out of the 1/4″ seam. What a cute little bag. Great tutorial. Thanks for reminding me about french seams. your pouch is beautiful. Like you said, it’s all in the details. 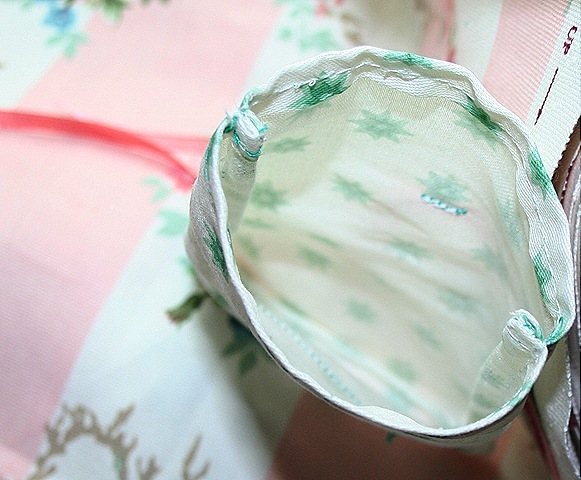 Like you, I’ve found that French Seams are perfect for simple projects. Making an entire blouse with them is beyond my comprehension though. Love your new fabrics! Can’t wait to see what sew with them. Oh I remember French seams well – in my sewing days we always did them on thinner fabrics because I despised oversewing seam allowances by hand! (There were no overlock machines then). My mum was a dressmaker and hand finished all her seams -they were as beautiful as anything that showed on the outside of a garment! Love your little bag. Hope this long winter hasn’t driven you nuts – we had snow again last night!! This is the nicest way to give a gift!! Such detail in your work…I love it!